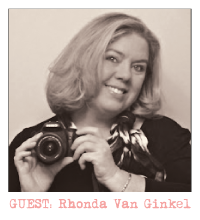 It's Rhonda Van Ginkel here today guest designing for SEI! 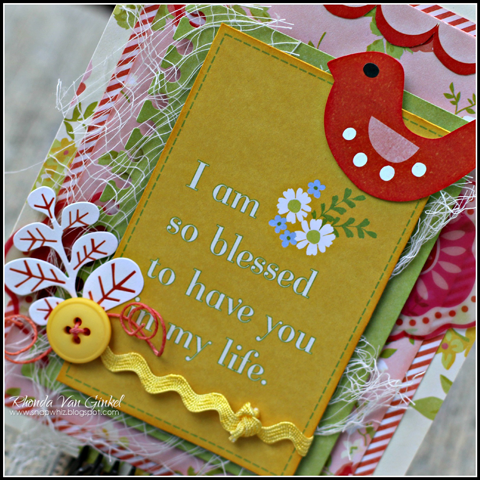 Today I have a few card creations to share with you that I hope you enjoy. I loved working with the Spring Picnic collection for these. 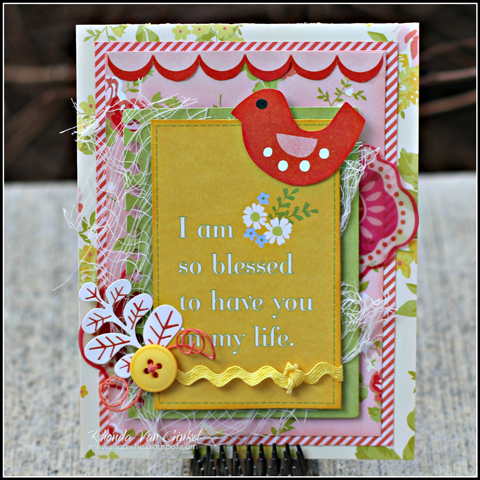 I used the yellow ric-rac from the Forever Sassy Sundries as well as the sweet little bird and branch are from the Basics Die-Cut Elements. The die cut elements are just adorable!!! the little vellum accents added a nice subtle touch as well. Next, I lined from behind with the Mother's Perfume paper. 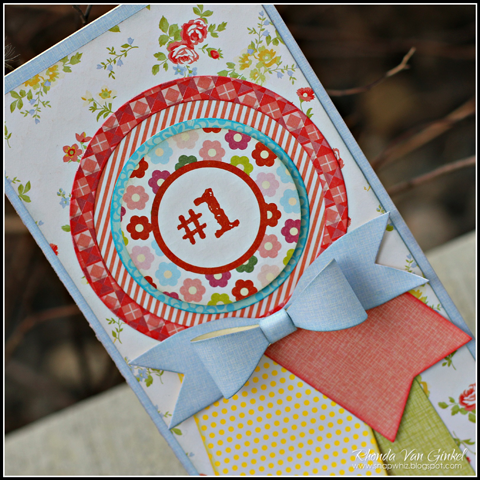 My blue circle layer was cut from the "Hoo's Sweet" Sundries packaging, followed by a Basics Die Cut Accents #1 sentiment. I finished the card with a paper bow and banners that were cut from some dies that I have. 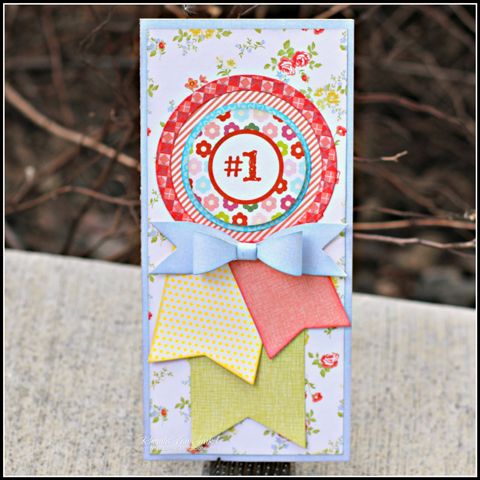 These two creations give me a little bit of spring fever, I hope they do for you as well! Thank you so much for having me as a guest designer here at SEI, it's been an absolute pleasure!